Antwerp, c.1585. 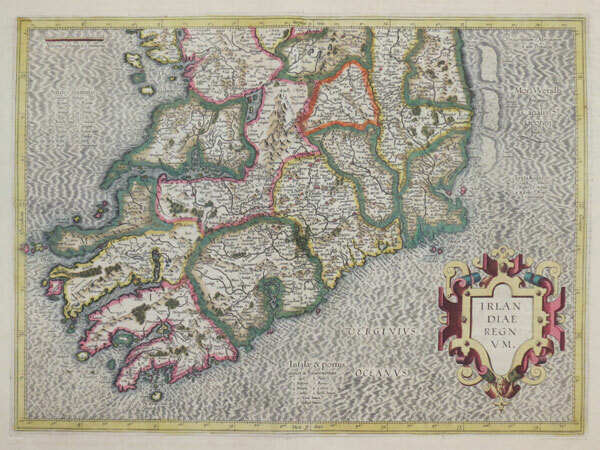 Ireland, orientated with north to the right, engraved by Philip Galle for the 'Epitome', the pocket edition of Ortelius's atlas. Antwerp, 1593, Italian text edition. 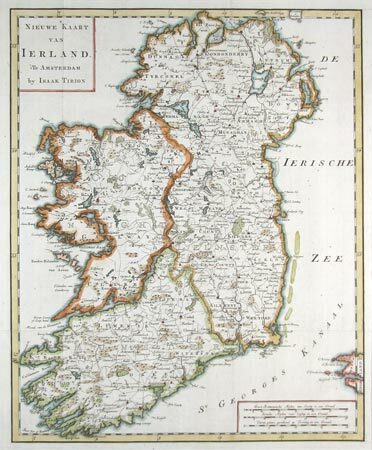 Ireland, orientated with north to the right, published in an official edition of Ortelius's 'Epitome' with an Italian text, not to be confused with the pirate editions published in Italy. Amsterdam, Jodocus Hondius, 1613. The southern part of a two-sheet map of Ireland, showing south of Galway & Wicklow. Amsterdam, c.1754. Ireland map divided into the four provinces. Paris, Lattr�, 1771. Ireland, with the west coasts of Southern Scotland, Wales and England. Paris, c.1683. 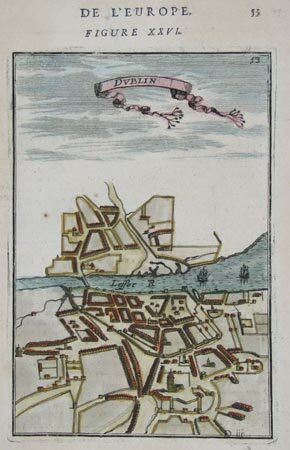 Plan of Dublin, with the title on a banner in the sky. c.1755. An elevation of Essex Bridge, now Grattan Bridge in Dublin, as rebuilt by George Semple in 1755. Amsterdam, c.1659 The province of Leinster, orientated with north to the right.